The official Medicare website is a great resource for people entitled to Medicare. You can learn what Medicare covers, download government publications and file a complaint. You can even enroll in a Medicare Advantage or Part D plan. But should you? We’ll take a look at best practices when researching and comparing Medicare plans. With those best practices in mind, we’ll look at the information provided on the Medicare website to help you choose a plan. Choosing the best Medicare Advantage or Part D plan is one of the most important things you can do to protect your health and stay within your budget. At the end of this article, ask yourself if the Medicare website is giving you enough information to confidently enroll in the most suitable Medicare plan. Learn what options are available. Visit medicare.gov click, Compare Health and Drug Plans to find plans in your area. Narrow your list of plans and compare potential costs (premiums, deductibles, coinsurance & copayments). Only the first step can be accomplished by visiting the official Medicare website. You can compare premiums, deductibles, estimated costs and Medicare Star Ratings, but that’s not enough information to make choice. Yet, with insufficient information you can enroll in a plan through Medicare’s official website. If you choose to enroll through medicare.gov, you will enter your information to complete the enrollment application. At one point you are prompted to enter your primary care physician (optional) without ever having access to a provider directory to even see if they are in-network. You will not know which specialists, hospitals or ancillary facilities are in-network. 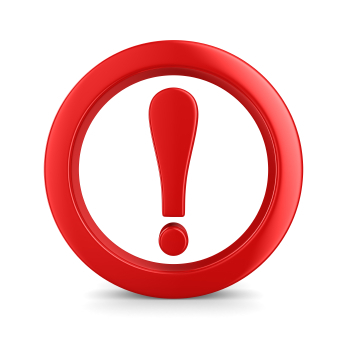 If you enroll through the Medicare website, you will have no information on provider copays, costs for inpatient care, outpatient testing, extra benefits or any relevant information about how you will be affected when using the plan. If you choose to enroll in a plan through the Medicare website you will receive all the important documents in the mail. You will be able to review the Summary of Benefits, Provider or Pharmacy Directory and Part D Formulary. But ask yourself this: what other product of such importance do you choose and then decide if you made the right choice? The answer is probably none! People spend more time choosing cell service and a phone! So why short change yourself when choosing a Medicare plan? The saving grace of course, is you can enroll in as many Medicare plans as you choose as long as you are within an enrollment period. The last plan chosen will become your plan. But that’s silly… You should research first, choose the best plan for your circumstances and then enroll. Don’t take a shot in the dark! 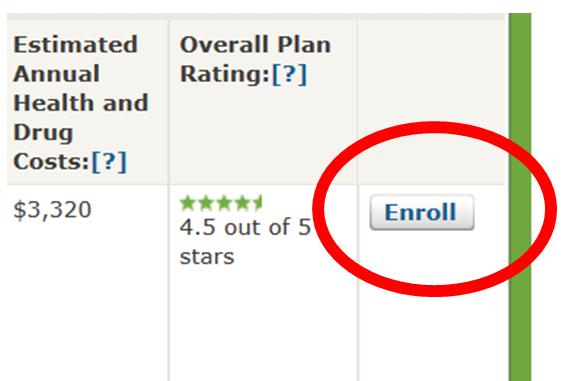 Clearly, enrolling in a plan through the official Medicare website leaves you at a disadvantage. But what if you are under 65 and buy health insurance through a Health Insurance Exchange? That’s a completely different story! ObamaCare has provided funding for thousands of Health Care Navigators to personally assist people under 65 to compare and buy health insurance. If you are under 65 you will (supposedly) be able to speak with someone personally or on the phone about your health insurance choices. Could you imagine calling Medicare and speaking with a Navigator to help you choose a plan? Me neither! The official Medicare website is a great place to start. And there’s plenty of information about Medicare in general, but there’s not enough information for plan enrollment. Willene, The point I am making, is that you do not have all of the information to make an informed decision if you enroll through medicare.gov. You really need to review the Summary of Benefits, Provider Directory and Part D formulary for each plan you are considering. This information is not available when you enroll through medicare.gov. It seems strange that after all this time you claim another government agency is not doing the appropriate thing but Obamacare will. For years Seniors have had to rely on themselves. I spend at least a month every year to find the best coverage and I have never had difficulty understanding the Medicare site. Does Medicare know that you are trying to undermine their service? It seems you are trying to enlist Seniors as to improve the numbers. I am forwarding to Medicare and my representatives to see if they know about this. Steve, Thanks for you comment. The point I was making was that there seems to be a little more emphasis on helping those under 65 with health insurance. Yes, there are counselors available through many different sources (including a few hundred thousand insurance agents), but nothing on the scale of the health care navigators for those under 65. There is also not a massive publicly funded advertising campaign pointing out help available. And I’m sure that people from the other States don’t think of calling the Ohio Department of Insurance. Eileen, I’m not sure how you have drawn the conclusions you’ve stated after reading this post. No where in the article am I singing the praises of ObamaCare legislation or indicating that health care navigators will be any more effective than other options for comparing plans. I applaud you for taking the time to research your options, there are many who find that too confusing a task. Me? Undermining the service that Medicare provides? Really? If one blogger expressing an opinion on one aspect of a multi-billion dollar government program could undermine it… what a world it would be. Because naturally no else has an opinion! The information in this article is right on the money. 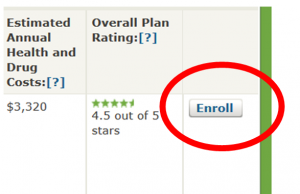 I spent several days recently on the Medicare site to try to find a plan that would suit my needs. I finally contacted an insurance agent to help me. I found that several questions I had were unanswered with the limited information available on the Medicare website. I also found the site “Clunky” as I clicked on links to further research and found that in order to go back, I had to start over by entering my information again. I am not over 65 and I am fairly well educated and work with computers and websites often. If someone who is not super familiar with working with websites were to try to find the information they could become bewildered quickly. Cindy, Thanks for your insightful comment. It’s nice to have an article understood. I hope others will come to the same conclusion so they can take the necessary steps to get all the information required to enroll in a suitable plan.